©2015 Wall Hanging: 25” x 25”, Throw: 45” x 55”, and Queen Size: 81” x 92”. 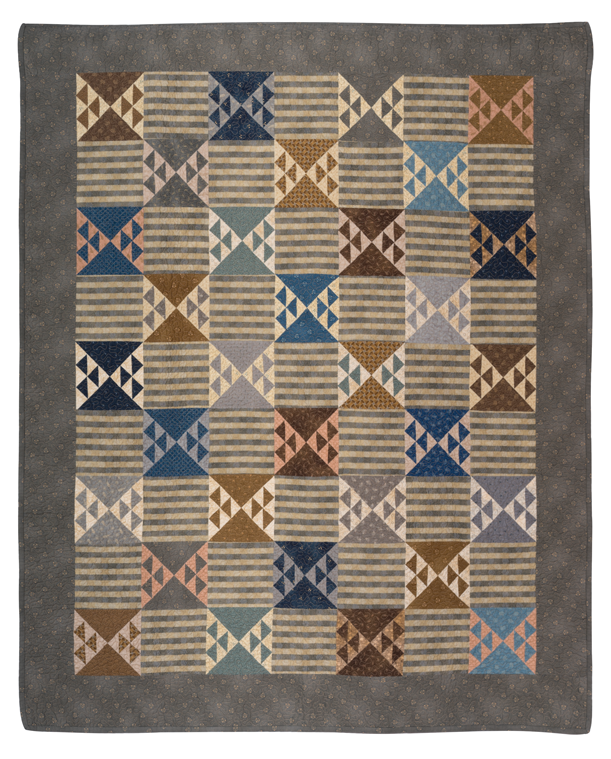 In this reproduction of an antique quilt, the colors reflect the dark blue and gray colors of northern and southern soldiers’ uniforms as they became faded, worn, and dirty throughout the course of the Civil War. Blocks finish at 5 5/8”.